Happy Monday guys! How are you enjoying the summer? I haven't been out and about lately because of the unforgiving heat. Temperatures are reaching in the lower 30's, so it's hard to feel comfortable With the humidity, I have been wearing less makeup, just tinted moisturizer on top of a good SPF protection. 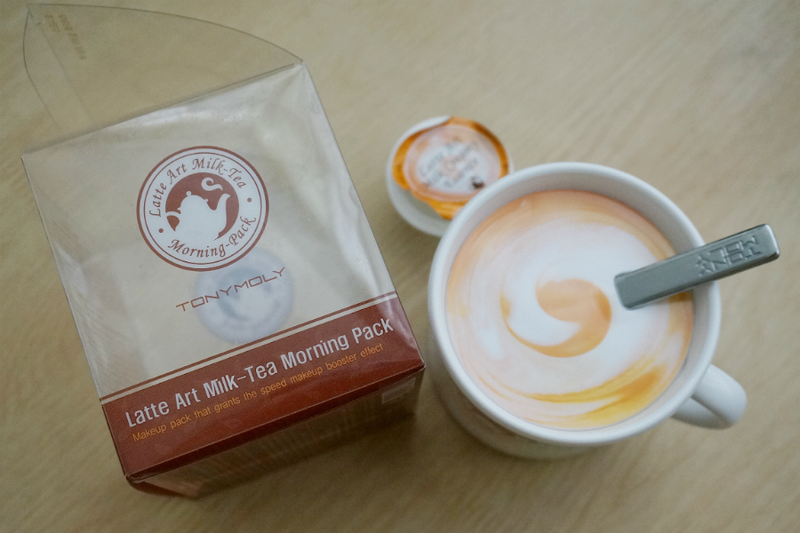 Tony Moly's Latte Art Milk Tea Morning Pack has been a staple in my morning routine for the past couple of weeks now. 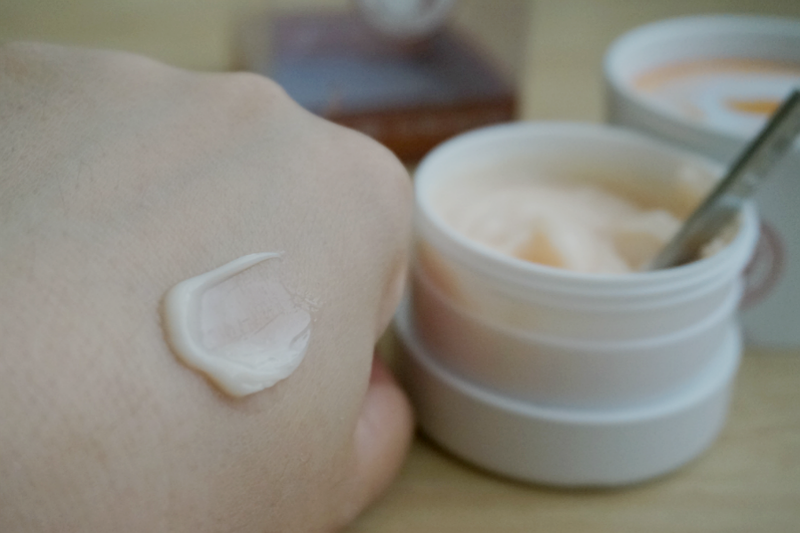 With my oily-combination skin, the creamy pack is adequate to hydrate my skin and make it smooth and supple. 1. After cleansing, apply adequate amount of the pack, rub for 20sec and leave for 10sec to absorb. 2. 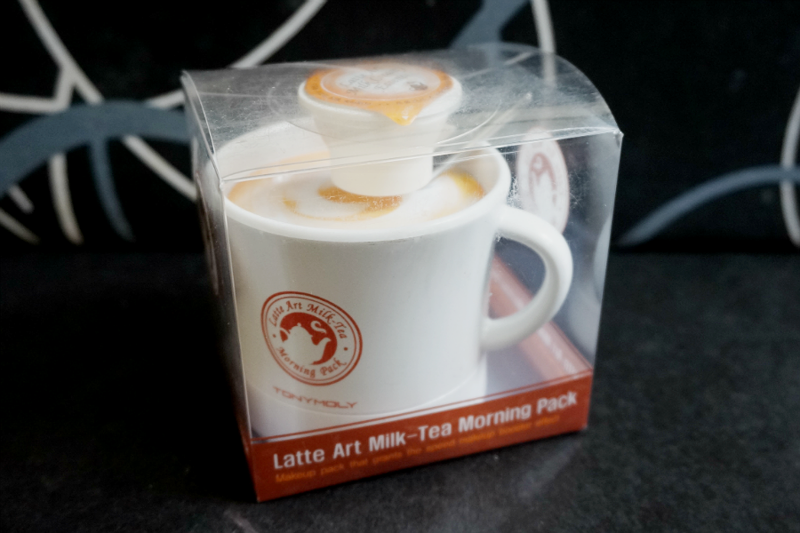 To better effect, add Latte art milk tea creamy essence and stir with included spoon. 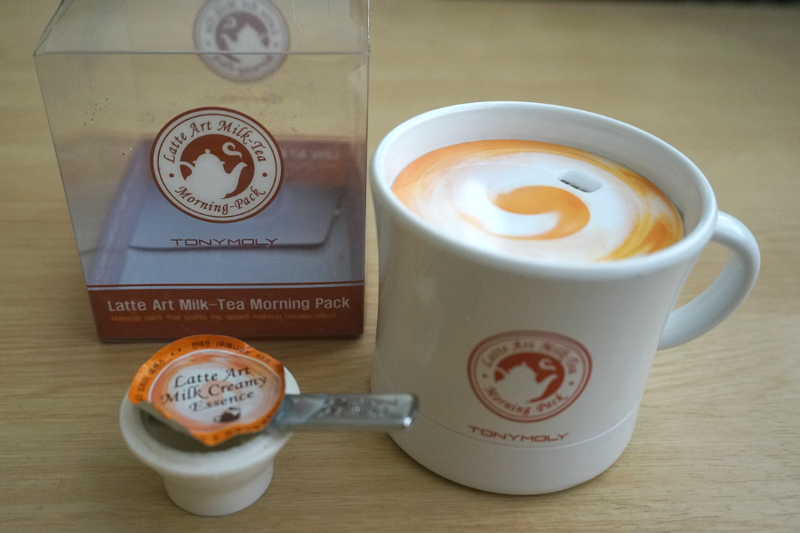 I was first attracted to the very cute Kawaii packaging that's why I decided to purchase this. The affordable price also made this product a good option for those looking for a light makeup base and moisturizer. The product has some coffee/caffeine smell to it but it's not really distinct and doesn't last so the scent was okay for me. 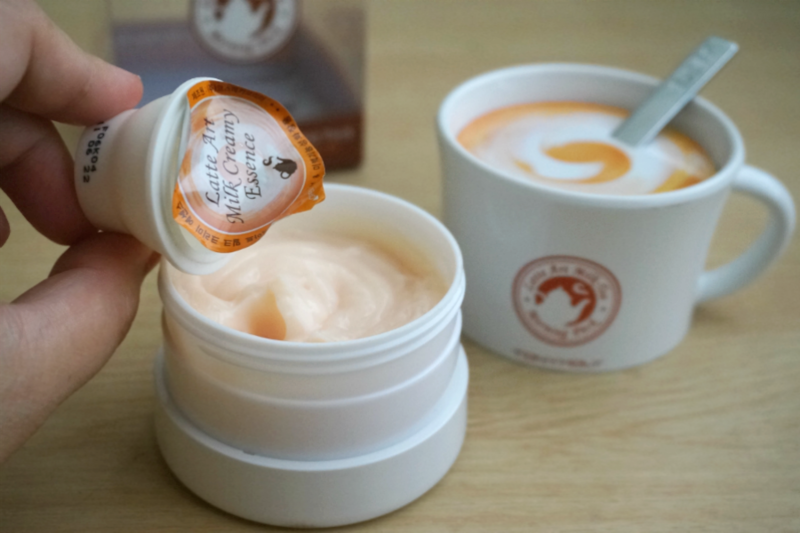 It feels creamy and smooth to the touch, and takes a bit of massaging in for it to be fully absorbed by the my skin. I don't mind the effort though because the massage serves as another step to keep my blood circulation up. This is a 2 in 1 product that serves as my base and moisturize. It contains black tea extract, corn hair tea extract and caffeine which gives the skin an instant pick-me-up so it looks nourished, supple, hydrated, and younger-looking skin. 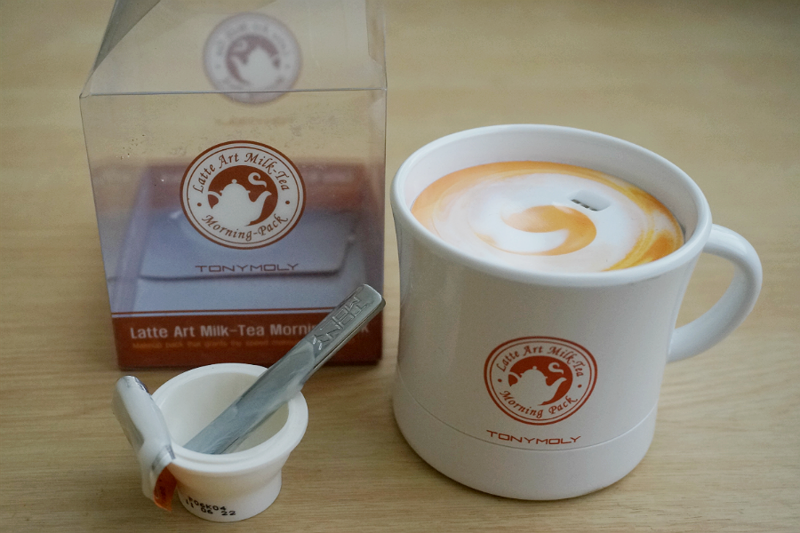 Overall: Tony Moly Latte Art Milk Tea Morning Pack is a multi-function product that acts a good makeup base as well as provide some moisturization for the skin. 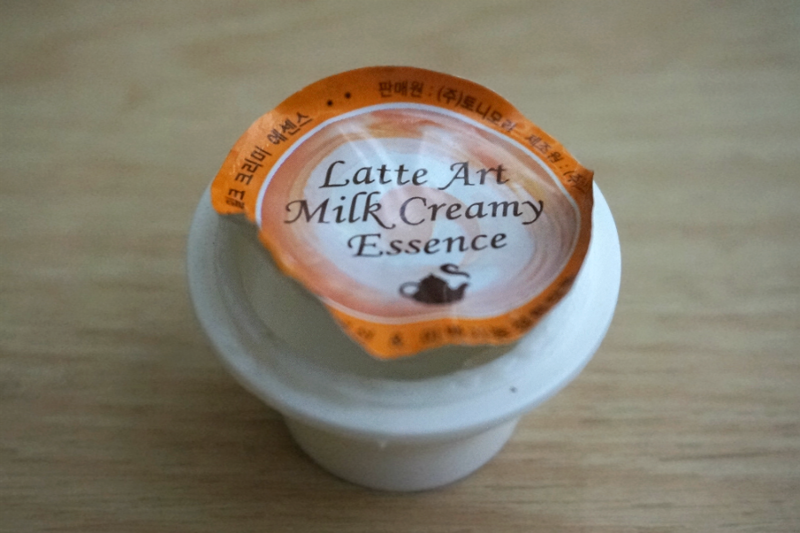 The product on the cup serves as a makeup base. 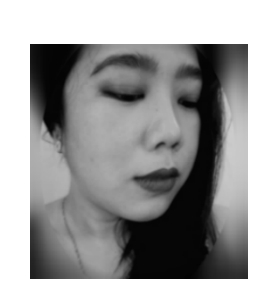 It did provide a smooth and silky canvass so my makeup applied readily and stayed on longer. 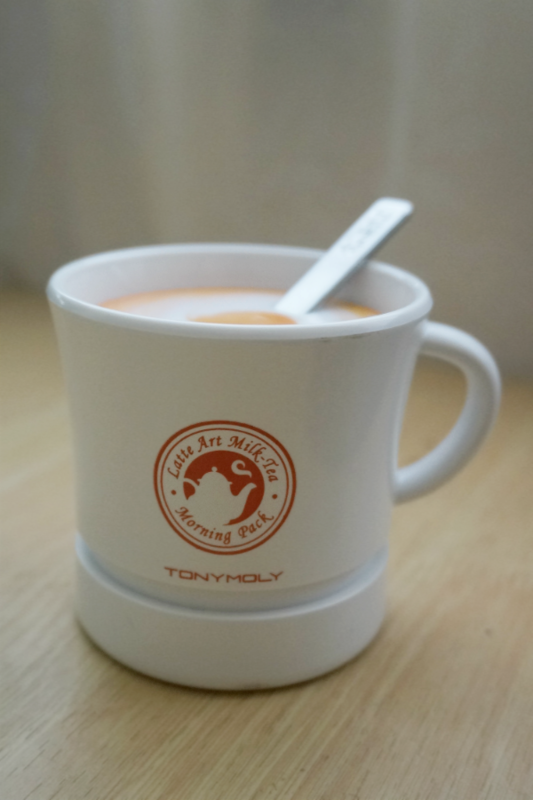 When the creamy essence is added to the cup, you get a non-greasy and light moisturizer which was enough to moisturize my skin and keep it looking bright and nourished.